'Open Heart Farming 2014' Launch! 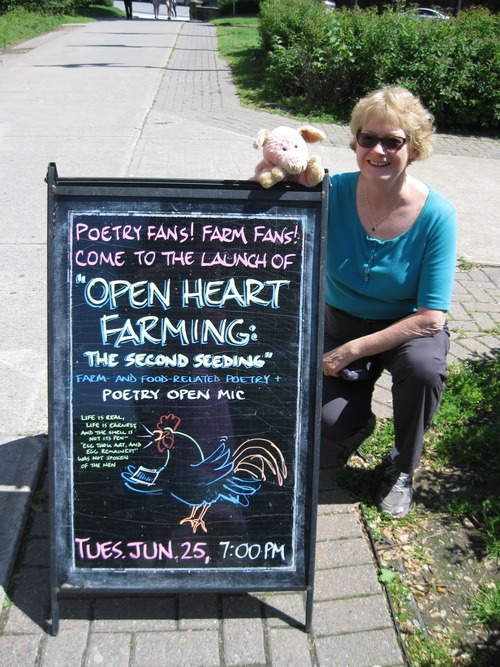 Open Heart Farming 2014’ Poetry Launch – All Welcome! ‘Open Heart Farming’ is a collection of poetry by Nova Scotia poets that celebrates food and farming in voices that are passionate, poignant, political, and frolicking. Hear readings by the Open Heart Farming poets and share your own or a favourite food and farming poem at the open mic. 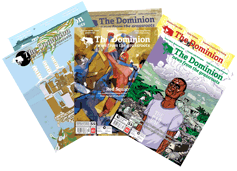 Visit www.ohforgery.com to view this issue. 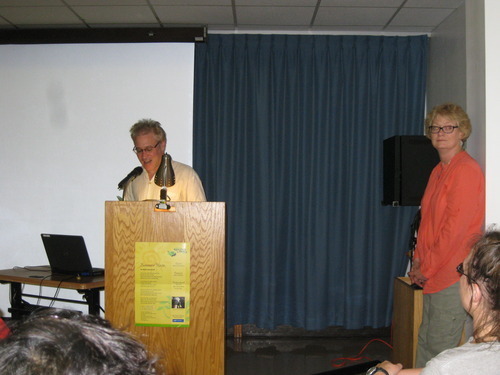 Tuesday, June 24 at 6:30 p.m.
You’re all invited to the third annual launch of the poetry issue ‘Open Heart Farming!’ Here’s a photo from our ‘13 launch featuring Donal Power, the creative and passionate mind behind ‘Open Heart Forgery,’ of which ‘OHFarming’ is a special themed issue. The poster on the podium is ‘Summer Haze’ by our ‘12 poet, Maria Duynisveld, then 11 years old. The Agriculture Awareness program of the NS Dept of Agriculture produced it for Agriculture Literacy Week - about 100 farmers and industry workers visited NS classrooms and left her poster as a gift! I’ll share a little ‘appetizer’ by OHFarming’14 poet Harry Garrison. A short and sweet verse, but doesn’t it pretty well sum it all up? Thanks Spring Garden Rd. Memorial Library for providing a great, accessible-to-all venue!